Knitting: I feel like I'm in between "real" projects right now. I'm working on a pair of socks, but I've also become a little obsessed with knitting on my sock yarn scrap blanket again (after months of not picking it up). It has grown to a decent width by this point, which is very encouraging! Oh your blanket it beautiful! I always think what a fun heirloom a blanket like that would be but have never gotten to starting one yet! I got that book from the library but haven't finished it yet. I have a feeling I will have to return it and check it back out again! Your blanket is so fun and colorful! I hadn't heard of the book, but I'm going to check it out. I love all things Jane Austen -- though I actually haven't read "Pride and Prejudice"! I plan to finally remedy that this summer, but I want to find the perfect copy to buy first. Oh, you are going to love Pride and Prejudice. :) Of course I think that...it's my favorite book. There are so many beautiful copies to choose from! I like your blanket a lot! 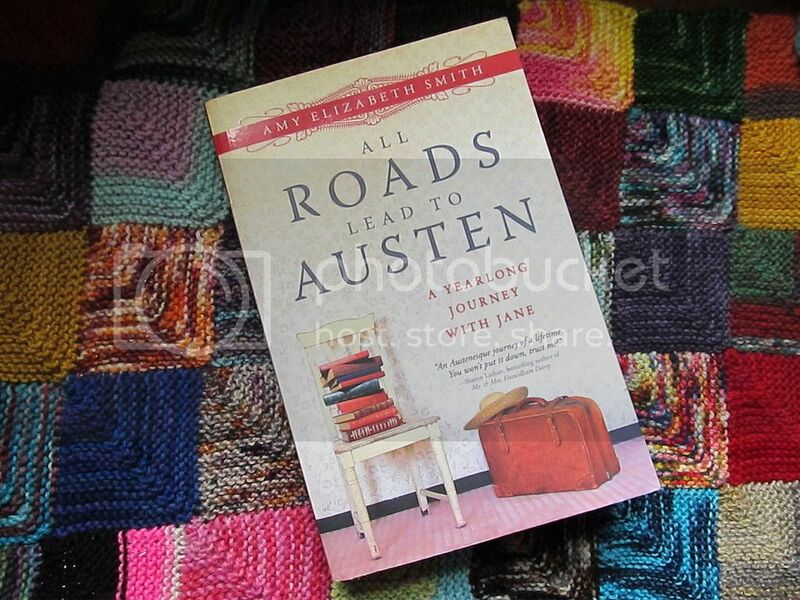 And hadn't heard of the book - there seems no end in sight to this Jane Austen popularity. I wonder what she'd make of it. I will recommend it to the book club at our library.